Given the current political climate in the world on the issue of migrants, refugees and the stateless, Partha S. Ghosh’s book, ‘Migrants, Refugees and the Stateless in South-Asia’ is a topical academic contribution on the same, addressing it within the context of South-Asia. 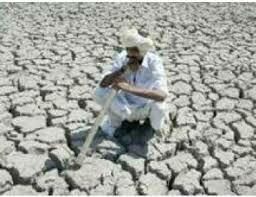 Half of the 688 districts in India today are reeling under the extreme situation of drought. Some of the regions, particularly the western part of India has been consecutively experiencing drought but during 2016 the intensity of drought has become more severe and widespread.